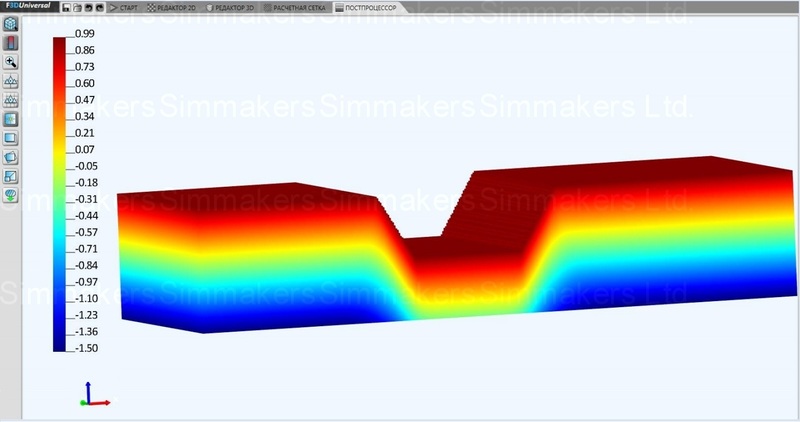 Specialists of Simmakers Ltd. have introduced an article about new numerical simulation method of transient heat transfer. The last is based on spatial interpolation of soil temperature from temperature logs of monitoring wells. Given ground surface elevations at some 2D points and temperature logs of several monitoring wells, one may interpolate the ground temperature field in such a way that the isothermal surfaces adapt to the terrain. As the depth increases, the sensitivity to the terrain weakens due to using more and more smoothed (Gaussian blurred) version of the ground surface. The proposed interpolation method not only considers the terrain but also is range-restricted, and along the monitoring wells, the interpolation is shape-preserving.